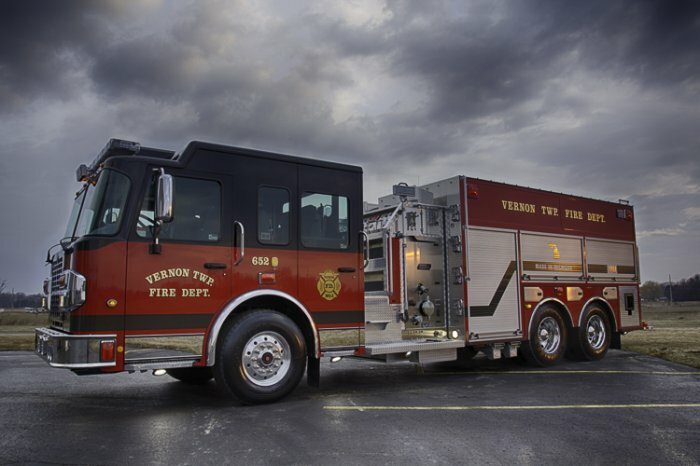 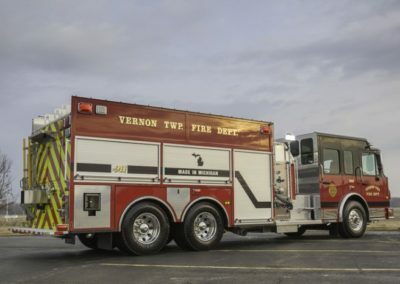 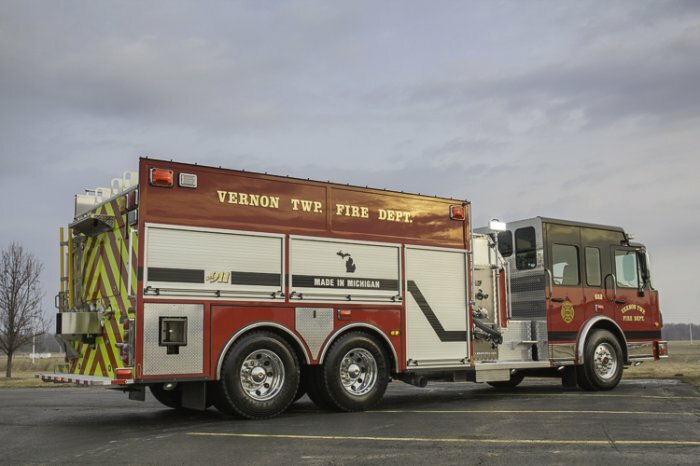 Here is another beautiful truck that we have recently delivered to Vernon Township. 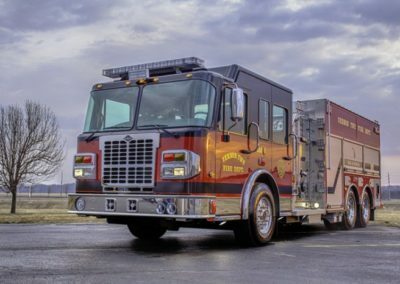 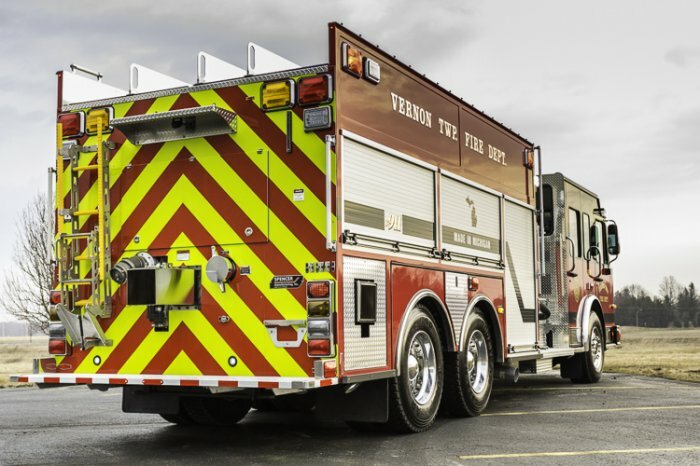 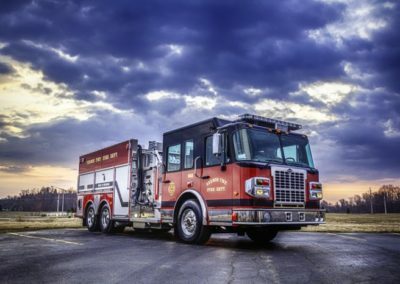 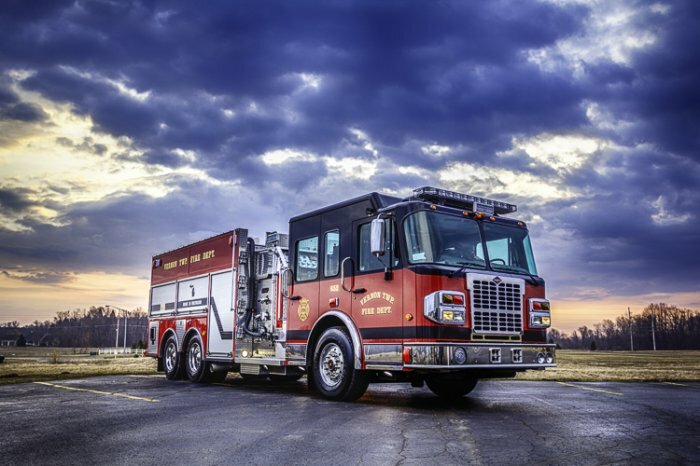 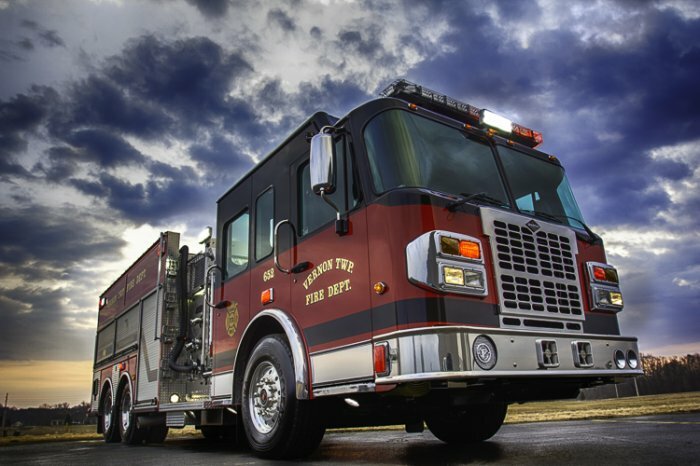 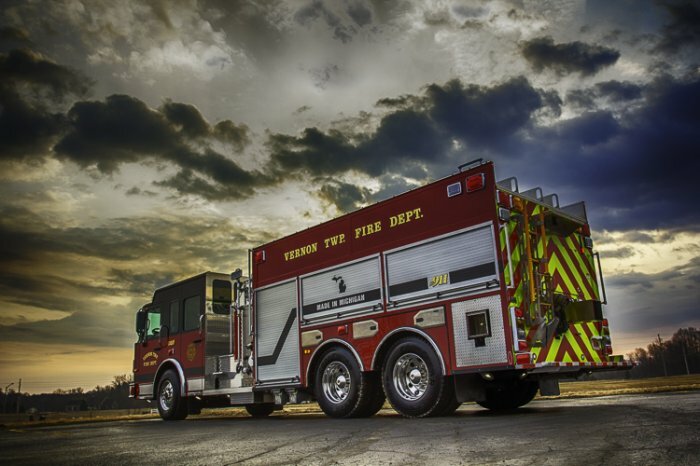 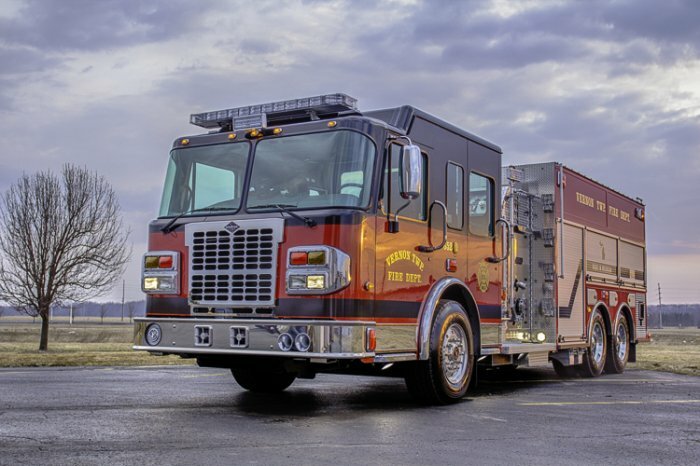 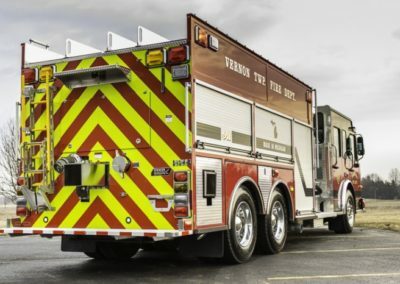 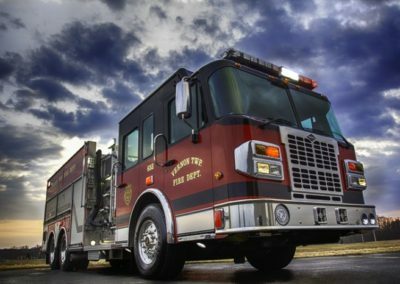 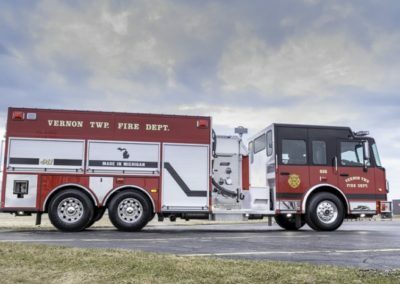 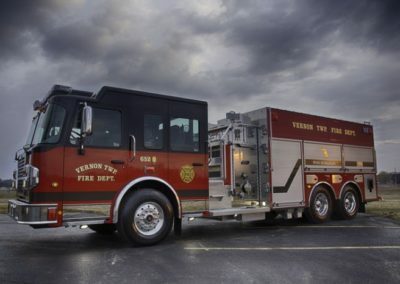 This is a top mount pumper that is built on a custom Spartan Metro Star 4-door Chassis. 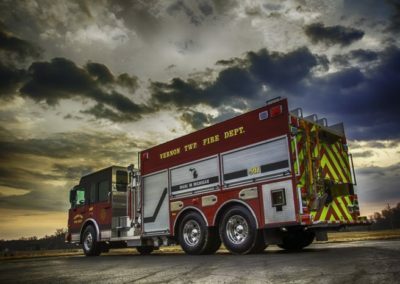 It carries a massive 2,500 gallon poly water tank and is equipped with a Hale QMAX 1500 GPM pump. 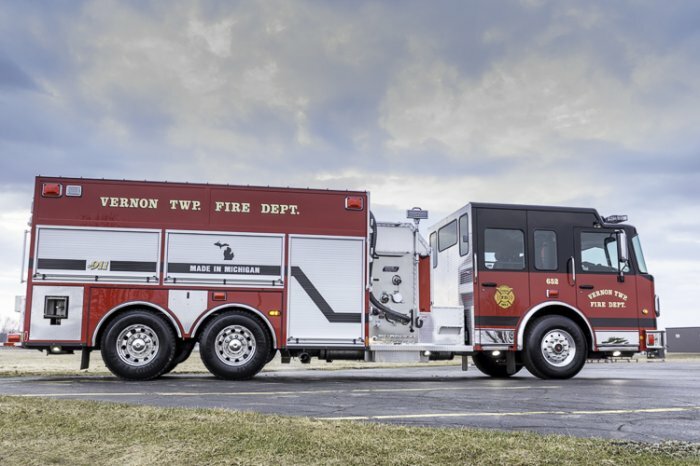 Other features on this truck include side and rear dump valves, FRC pressure governor and scene lights, Whelen emergency and ground lighting, painted compartment interiors, an oil dry hopper thru the wheel well, a Spencer Quick Ladder, and Gear Grid double swing out toolboards.